Welcome to Harshika Industries. 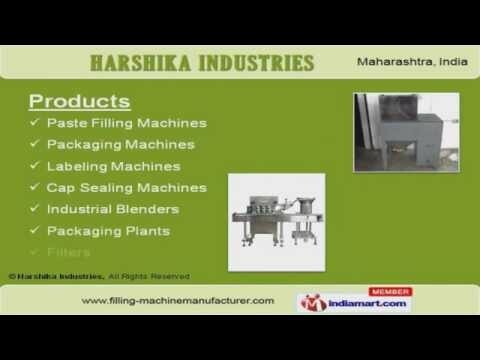 Manufacturer & Exporter of Wide Range of Filling, Packaging & Labeling MachinesThe company was incepted in the year 2001, at Maharashtra. Our ANS and ASQ Standardsproducts are widely acclaimed in the market. Customization, Competitive prices & Easy payment modes make us stand apart from also-rans. We offer a wide array of Filters, Packaging & Cap Sealing Machines. Our Liquid Filling Machines are best in the industry amongst others. Powder Filling Machines offered by us are well known for their impeccable performance. We also provide Cream & Ointment Filling Machines that are available at industry leadingprices. Along with that we offer Packaging Machines that are highly efficient. Our Labeling Machines are well known for their durability and reliability.